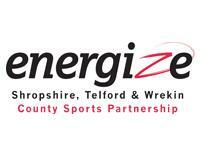 The Community Games programme is very close to Shropshire’s heart. They are inspired by William Penny Brookes’ original Wenlock Olympian Games which started in Shropshire in 1850 and ultimately provided the vision for the modern day Olympic and Paralympic Games. To use the London 2012 Olympic and Paralympic Games to ensure a lasting legacy in terms of culture, health, sport, business and tourism within Shropshire and Telford & Wrekin.